Good Company Players was founded in 1973 by Dan Pessano, Chris Moad and Ronald J. Harlan. Begun as a summer dinner theatre in Fresno’s Hilton Hotel, the young company performed at various locales until 1978 when Roger Rocka proposed that GCP settle down in a permanent year-round home. 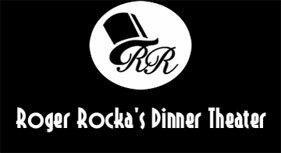 The gallant troupe worked feverishly to convert a vacant Sprouse-Reitz store into Roger Rocka’s Good Company Music Hall, Eating Establishment and Drinking Emporium, which is now known simply as Roger Rocka’s Dinner Theater, the home of Good Company Players. Thanks to loyal support from the community, the new venture thrived. In 1982 Good Company Players opened its smaller, more intimate 2nd Space Theatre as well. Between the two venues, Good Company Players currently produces 12 shows a year and since its inception has presented over 400 plays with over 14,000 performances.